Mango People found something mysterious under deep seas!! We have read about mermaids in different folklore of many cultures worldwide. Female water angels has given us numerous sweet dreams. Far from receding into oblivion and retreating to ancient, medieval or Romantic shores, they continue to be a source of literary and artistic inspiration. Do you remember the time we’ve dreamed of being a mermaid when we were a kid, you can thank Ariel for that. Because honestly, who wouldn’t want to be able to wear a purple bra around town all day and swim like a water goddess? We’ve noticed an adorable new homemade trend —MERMAID BLANKETS. 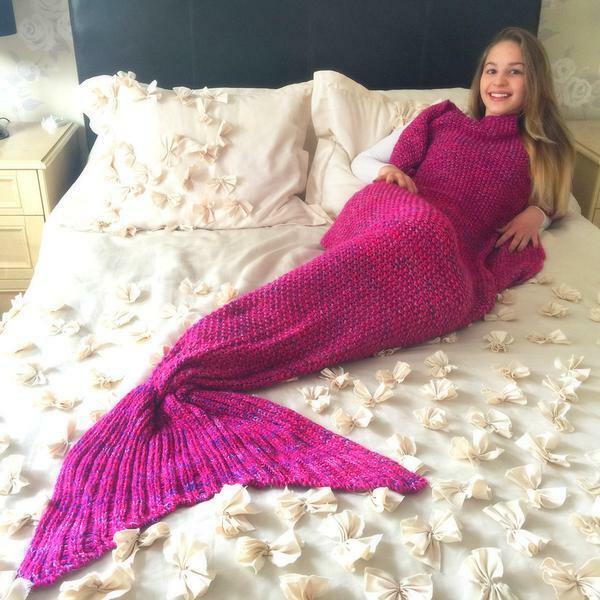 Hand crocheted mermaid tail-shaped blankets that’ll help keep you warm and cozy. After-all mermaids also need to sit and relax every once in a while. Cozy tail, perfect for napping, both children and adults. Get in the comfort zone like a mermaid with Mango People's MERMAID BLANKETS, grab your's here! A mermaid has to look perfect and flawless all the time so, complete your perfect mermaid look with a dash of makeup by using Mango People's mermaidmakeup brushes. 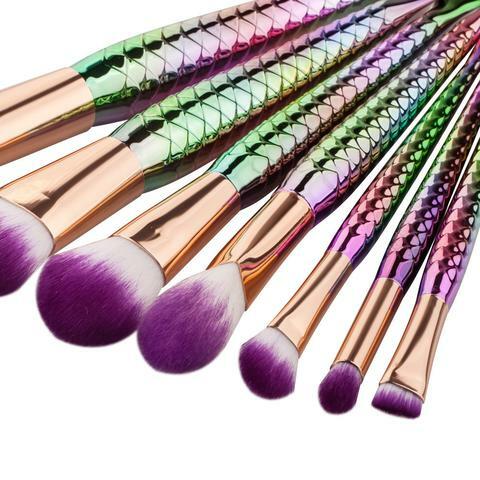 Hurry and get your personal MERMAID MAKEUP BRUSHEShere! And now when you are on to it please don't forget to check our very special mermaid collection for all the beauties out there, who always wanted to be one of a kind MERMAID. 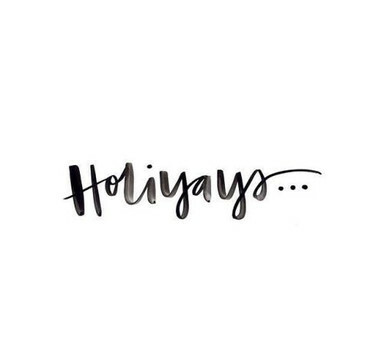 Starting from makeup brushes to phone cases to sling bag to a co-ord set. Get anything you want right here, click the link below and take a step towards your childhood dreams. Like we say "Mango People-always fulfilling your dreams". 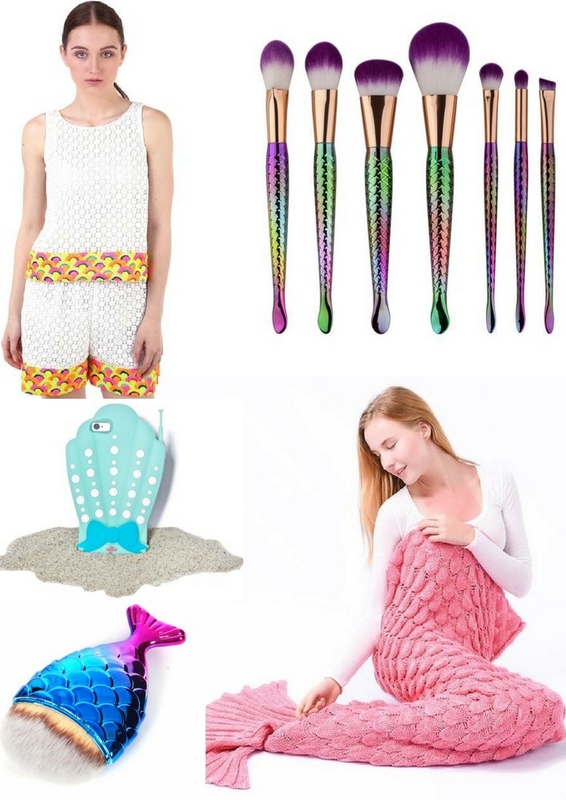 Grab Mango People's MERMAID collectionhere! 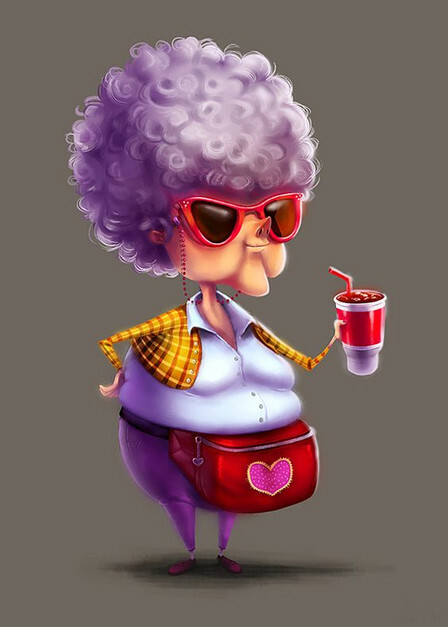 Some folklore say , they can be benevolent or beneficent, bestowing boons or falling in love with humans. This season why not we fall in love with them- MERMAIDS! !